UST® Stainless Steel Tankers Deliver Premier Performance and Unmatched Durability. UST has built a reputation for high quality, long lasting elliptical, wetside and dryside tankers. Danko has demonstrated their ability to fulfill the needs and desires of our customers with superior craftsmanship using innovative construction techniquesand the ​finest materials available. When choosing your tanker style we are sure to have the solution for you. Weather you need a traditional square body Dry Side with High Side compartments, an Elliptical style with a beautiful Stainless Steel wrap or something in between we can exceed your expectations. We offer capacities from 1000-4000 gallons. The size of the tank will also determine the rear axles. Options include single or tandem axles. All of our tankers are engineered to meet NFPA requirements. 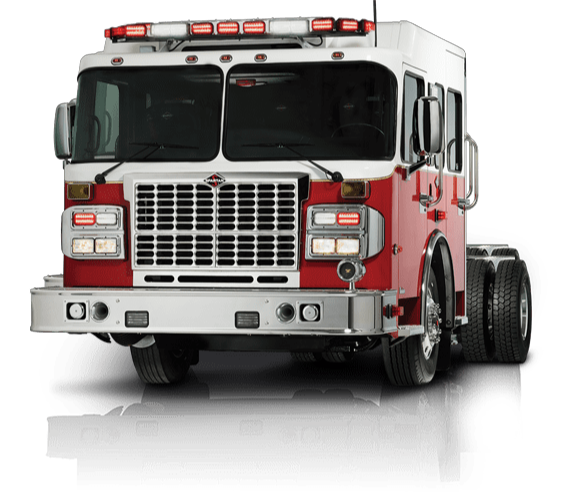 The Smeal Companies offer tankers with no pump, portable plumbed in pumps, Side Kick PTO pumps and fully NFPA Class A rated fire pumps. Whatever your needs require we have a solution for you. DANKO designs and custom builds tankers to fit your department's specifications.